Beijing(web team): Prime Minister Narendra Modi on Friday said that Asia's voice will be stronger if India and China speak in one voice for each other and also stressed on the need to settle border and boundary issues peacefully and quickly. “Geography and history tell us that the dream of an interconnected Asia will be successful, when India and China work together. A resurgent Asia is seeking a bigger voice in global affairs. 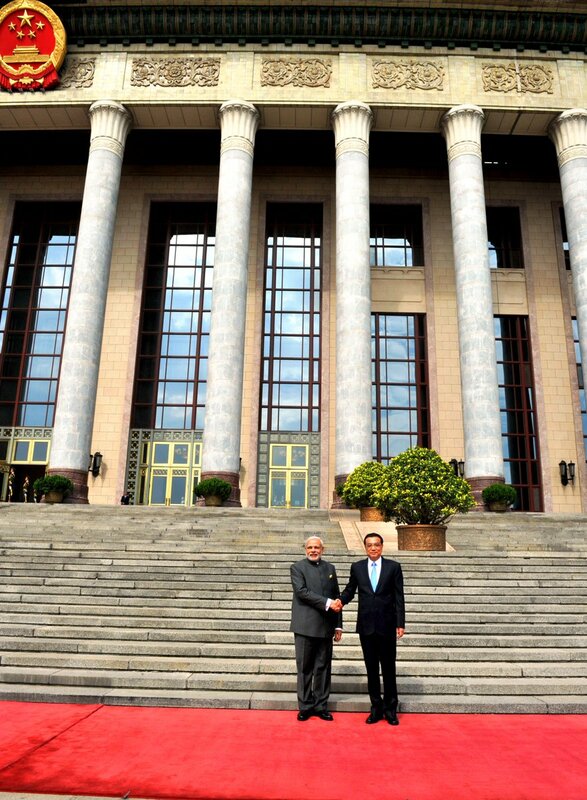 Asia's voice will be stronger if India and China speak in one voice for each,” Prime Minister Modi said while addressing faculty and students at the Tsinghua University here. “We must try to settle the boundary question quickly. We both realise that this is history's legacy. We have to enhance our cooperation across the full spectrum of our relationship. We should think of creative solutions for issues that have become irritants - from visa policies to trans-border rivers,” he added. Talking on the need to curb terrorism, Prime Minister Modi said both India and China must address issues that might lead to doubt, even distress, in the relations between the two nations. 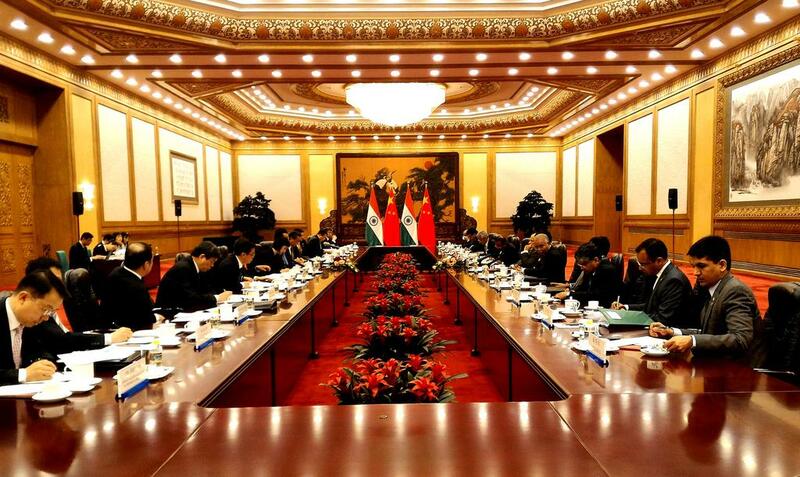 Signing of agreements taking place in Beijing in the presence of the leaders. 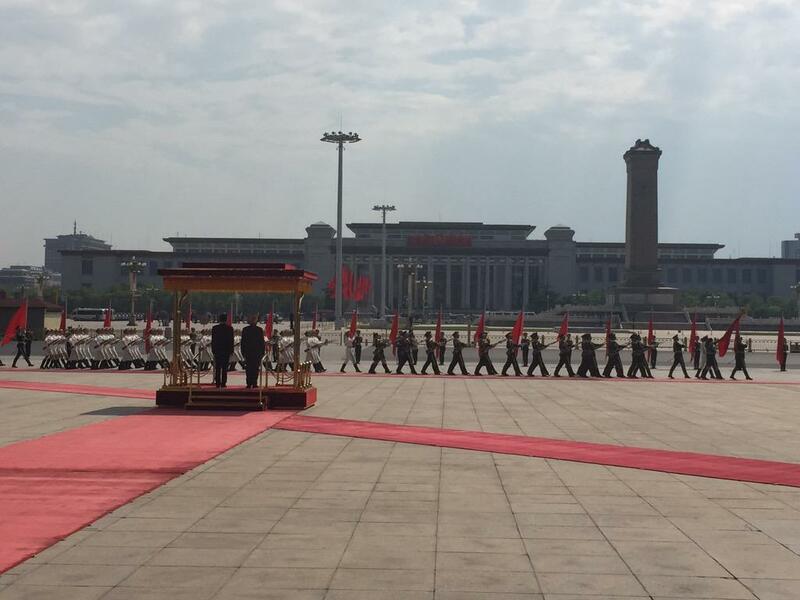 PM Modi, Premier Li to sign agreements after holding talks in Beijing. The talks between Modi and Li overshot by 50 minutes, Foreign Ministry spokesperson Vikas Swarup said. Prime Minister Narendra Modi and Chinese President Xi Jinping on Thursday discussed ways to strengthen "trust" and maintain peace on border between India and China, whose ties are often soured by the decades-old boundary dispute. Modi and Xi held substantive talks in this city, the first time a Chinese President has done so outside Beijing, covering various issues ranging from political, economic and global issues like terrorism, UNSC reforms and India's membership of Nuclear Suppliers Group (NSG). "On the political side, there was a lot of discussion on strengthening trust and increasing convergence," said Foreign Secretary S Jaishankar while briefing media on the 90-minute delegation-level talks without taking any questions. He said the two leaders discussed the boundary issue, including peace and tranquility, besides trans-border rivers. The boundary issue has been a sticking point in the relations between the two major Asian countries and both are making efforts to settle it through Special Representatives' talks. The Special Representatives have held 18 rounds of discussions so far.